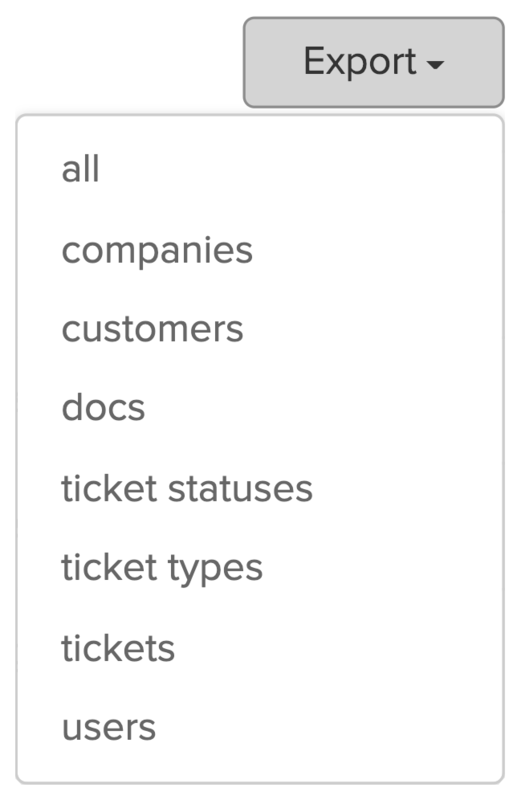 Within Teamwork Desk you can export data such as customers, tickets, docs and users. Note: All data is exported as a ZIP file which extracts to a .JSON file. To export your data click on your profile icon to the top right of the Desk navigation bar and choose Settings from the dropdown. Select Company from the settings options. 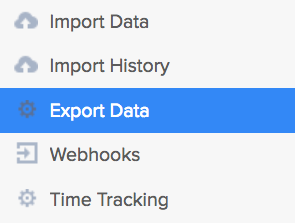 On the left pane you will then see an option to Export data. To the top right of the page you will see an option to export, select this to choose the export option you would like from the dropdown menu. Once you select this the export will be started and a message will appear to indicate that you will be notified when the download completes. Note: Depending on your selection and the amount of data being exported the time for completion can vary. Once the export is complete it will appear in the center of the screen, listed along with any previous exports. You can see when the export was created under Creation date. You will also then have the option to download the export to the right.